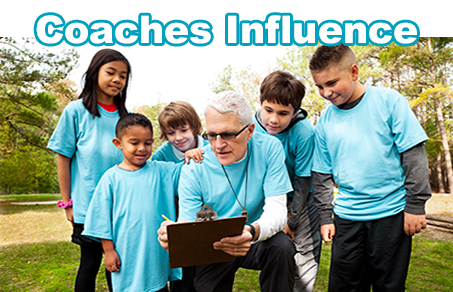 It is well known that a coach ranks high in terms of the influence he or she has on youth. Parents and youth have always expected this influence to be positive. The respect that a coach commands from young athletes is one that is unique to coaching. Unless the coach violates this natural trust and respect, his or her influence will be one that young athletes will remember throughout their lives. They will continue to benefit from the lessons learned during the time they spent together with their coach. Because of this, we at Drug-Free Champions hope that coaches will become an integral part of the message of a drug-free existence for young athletes. This site has information that coaches can an should use to help make that difference by creating a drug-free champion attitude and drug-free lifestyle for young athletes.